Staff always make me feel like it is a bother to help. Only a few of the maintenance staff are friendly. One actually yelled in my face when I called to get the plumbing unclogged. Due to bug infestation I had to replace 1000.00 computer when they got inside the computer and damaged it. Was told to contact insurance, who stated it wasn't covered. Meralys, thank you for your review. I apologize that your apartment was not all the way ready for your move-in. I hope the issues were resolved in a timely and acceptable manner. We have also added security patrol to our community feature in the recent months. Please let us know if you have any other suggestions to make your home more enjoyable. 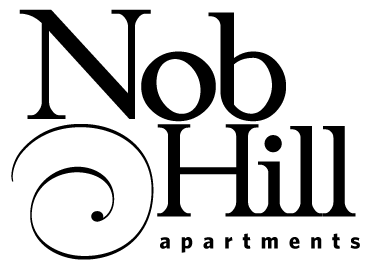 Nob hill is a decent apartment. Though one issue I have is with the whole gated community thing they have going on. The automatic gate is always breaking down and they have posted sucurity at the front entrance that has no consistency between the security guards. They slow traffic at the gate to the point that traffic backs up in the street. Even when the automatic gate is functioning properly the security guard is still posted at the gate. Some of the guards will allow anyone through and others will not allow anyone in. For example we had to decided to order pizza one night and the delivery driver was unable to get past security even though he was in his work uniform had the car topper on his vehicle and even stated his business for going in and where he was headed. We ended up having to drive down the the gate to resolve this even after talking with the security on the phone and confirming we had ordered pizza. Good afternoon Jeramy! We're so sorry to hear you're having a bad experience with our apartment complex! We're working on getting the gate fixed and do apologize that you had such a hard time getting your pizza because of our gate- we certainly want your living experience to be an easy one here. Please give us a call at the office and let us know what we can do to make it up to you! It's ok could be alot better here but comfy. Danielle has been great getting info to the higher ups. 1973 look is out time for a newer face lift!! This is the second review i have done.. the first i gave a great review but had only been here a month. I have been here for 7 months now and between the roach problem that is ongoing...renovations... half done reno's where you can hear your neighbors and it isnt their fault...and AGAIN the roaches... I hate it here. I only give 2 stars because the staff is nice. Needs better customer care! Stop being rude to customers who PAY RENT! When something is wrong in a home it should be FIRST priority to fix issue! Emma, I am so sorry for your experience with the office staff. Would you mind stopping by to speak with us about your experience? We definitely want to be sure this never happens again. It’s okay. Not exactly what I expected it to be (as far as the unit goes) from what I was told when I moved in. But it’s temporary. The location is great. And the staff is pretty awesome. The security isn’t very secured, I was getting broke into a month ago. The security guard was sitting in his vehicle out front with it turned off per the police when they came. no cameras on this side of the building but other than that the people are nice and the community is very well kept. I've been at Nob Hill for 7+ years and I've seen a lot of improvements and a lot of things that need improved. I really love the location since it's right by the interstate that's the main reason I stay here. I don't like it that my rent jumps up every year but my apartment hasn't gotten any updates. My appliances are old my carpet is old as well as other things. Hi Mr. Moon,Please feel free to visit the office to discuss any concerns you might have about an over crowded apartment. We're happy to work together to address your concerns. We look forward to seeing you, as always. The apartments are beautiful and very quiet and peaceful. The only thing that I don't like is maintenance and the exterminator that comes monthly walks into your apartment if you don't answer the door quick enough. I talked to the office manager about it. Nothing has changed. Other than that I love the apartments. Maintenance is good about finding things on time. I just moved in I like the inside of the apartment however the outside to do some fixing up. It is a gated community however the entry gate is always open, please fix it! !